There are a variety of lease agreements permitted by law, the most common being residential and commercial. Across the country, the laws pertaining to lease agreements generally are uniform. Most of these laws lack requirements for witnesses, although they are permissible. However, as an added level of protection, many individuals and businesses prefer a witness to an agreement of lease. There are two routes to take in regard to witnessing a lease agreement. Obtain a standard form lease agreement. In the alternative, draft a lease agreement. Schedule a time when you and the other party to the lease agreement can come together to sign the document. Select a location for the lease agreement signing where a notary public is available. Contact another individual or individuals with no interest in, or relationship to, the lease agreement to serve as a witness or witnesses. Using this type of witness is an alternative to having the lease agreement notarized. 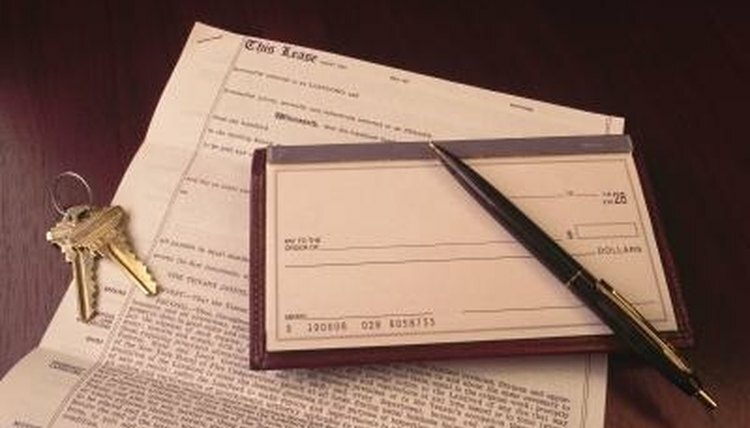 Insert a signature line for a witness to the lease agreement (or lines if there are multiple witnesses). Broemmel, Mike. "How to Witness an Agreement of Lease." , https://legalbeagle.com/5886942-witness-agreement-lease.html. Accessed 19 April 2019.